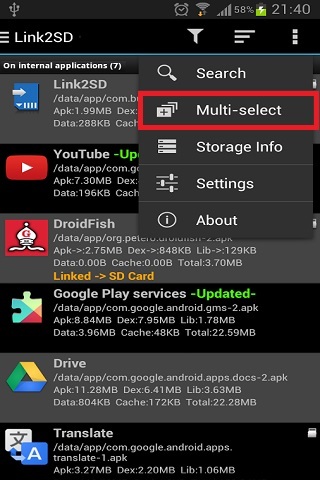 Increase internal storage space of Android device using simple steps. Avoid the insufficient storage available message and increase memory using these 6 methods. Now days the Android phone comes with a large devastating internal memory. 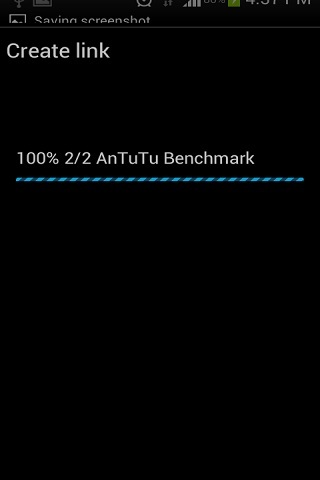 That’s the reason these phones are very smooth as well as fast in performance. But there was a time when the Android smart phones used to come with low internal memory of 250-450 megabytes. Due to such limited memory, there is always a problem while installing a new app. One way is to delete any of the pre-installed app so as to carve out some space for a new one. But this method is not so effective. Increasing the internal memory can be only solution for this. How to turn Android into iPhone. You must have noticed that with the increase in apps the performance and smoothness of any phone decreases. This is because the internal memory of your phone cannot withstand the plenty of loaded apps in it. You can partition your external memory card and use some of its space for internal memory. Different techniques are available for partitioning a memory card. Out of which we have listed some easy and basic six methods. Use any of these methods to increase your phones memory. Method 1 and 2 are the most widely used techniques as they do not restrict with the use of Stock firmware or Custom ROM. 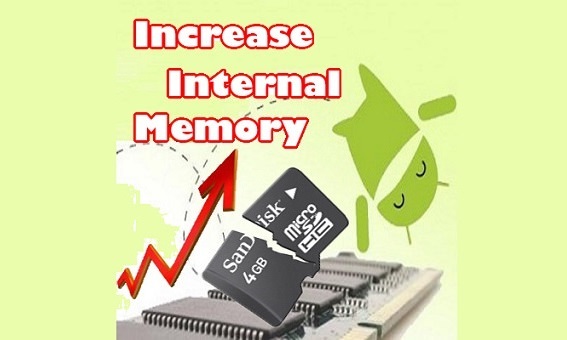 Interested users can proceed to our actual easy and step by step article on how to increase internal memory of any Android phone. Your phone must be ROOTED. This is essential for all the mentioned methods. Backup all the contents of memory card on your computer as everything gets wiped out. Charge your phone at least up to 60% so as to decrease the risk of interruption during the process. Step 1: Download and install the Link2SD app from the link given above in your phone. Step 2: Now completely switch off your phone until it vibrates. You need to enter into CWM recovery mode. For doing so, you may use appropriate key combination. Note: Touch won’t work here in recovery mode. So use volume keys for navigation and power/home button for selection. Step 3: Navigate to the advanced option and select it. On the next screen select the partition SD card option. Step 4: Next select the ext size. Note that this size should be less than your memory card size. Select swap size as zero. Step 5: Wait for few minutes to complete the partitioning SD card process. Step 6: After successful partitioning of SD card select +++++go back+++++ and then select reboot system now. Step 7: Start your phone. Install the Link2SD app in it. Step 8: Launch the app and grant Superuser permissions. 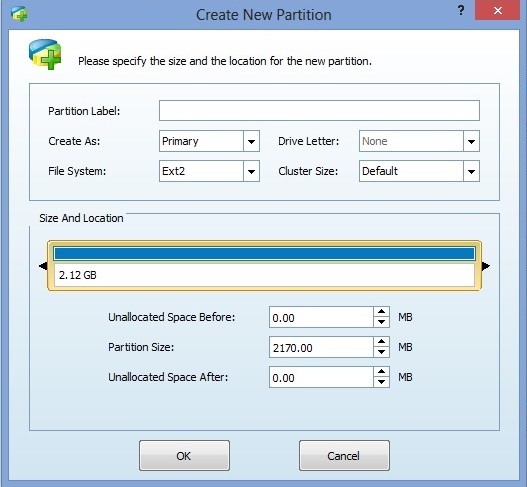 Step 9: A popup window will appear to choose file system of your second partition. Select Ext2 format. Step 10: The app will then ask to reboot your device. So reboot. Step 11: After rebooting, launch the Link2SD app again. On the top you’ll find the filter option. Click on it & choose on internal. This will show you all the apps present on the internal memory. Step 12: Now click the option key and select multi select option. Then select all the apps. 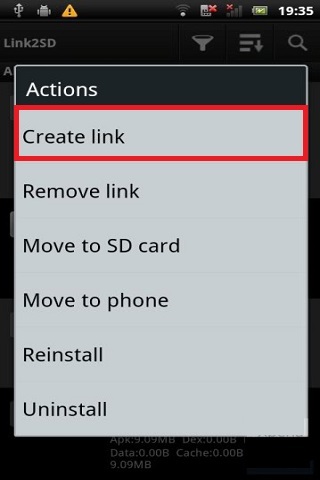 Step 13: Again click on option and select Create link option. Step 14: Next tick all the three options i.e. Link application file, Link dalvik cache file, Link library files. Then ok. 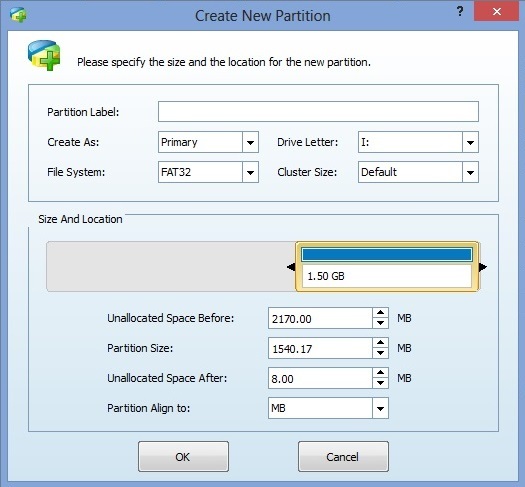 Step 15: Wait few minutes to create link for this partition. Step 16: After completing everything as mentioned above click ok.
Now in order to link every new app that you will download to this partition, select options and then auto link. Every new downloaded app from Play store will get saved in this partition. Finally you’ve successfully increased your phones internal memory. You can see the memory status from link2sd->options->storage info. Note: Do not remove/replace the memory card as it may corrupt the apps. Step 1: First of all, download and install the Mini Tool Partition Wizard software from the given link on your computer. Step 2: Then remove memory card from your phone and insert it in card reader. Step 3: Connect your memory card reader to computer. Note: Do not use USB cable to built connection between phone and computer. 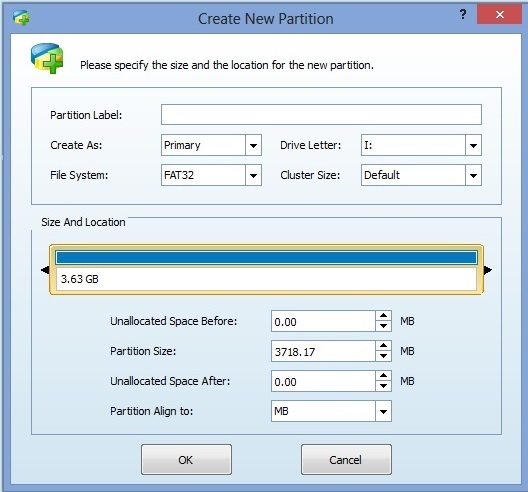 Step 4: Launch the Mini Tool Partition Wizard software on computer. It’ll show all your disk drives along with the memory card which you’ve just connected. Step 5: Now right click on the memory card and select delete. (Note: This will format your SD card completely so make sure you’ve backed up everything before doing this step). Memory card will then show unallocated space. 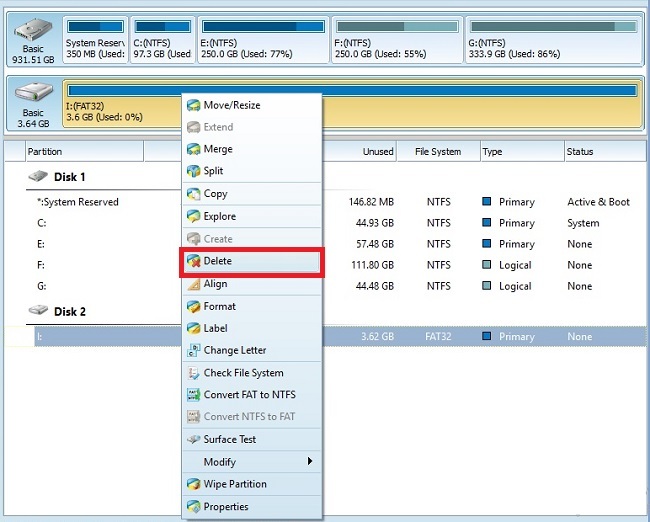 Step 6: Right click on memory card showing unallocated space and select create. A popup window will appear. Step 7: In create as option select primary and in file system select FAT32 (since I use a 4GB memory card here). Note: If your memory card size is less than 2GB then select FAT file system. 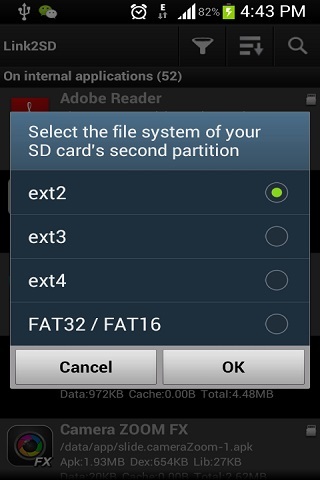 If your memory card more than 2GB, then you should select FAT32 file system. Step 8: Select partition size of your memory card for storing data and click OK. Here I select 1.5GB. 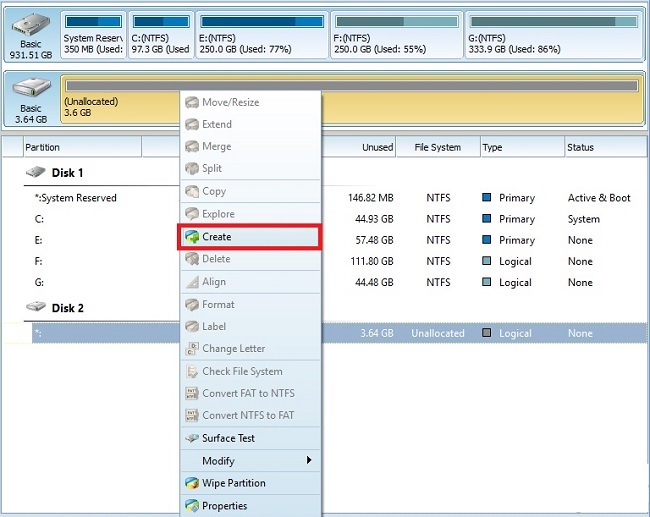 Step 9: Then select the unallocated space and right click on it and select Create. Step 10: Again in the popup window select primary in create as option. 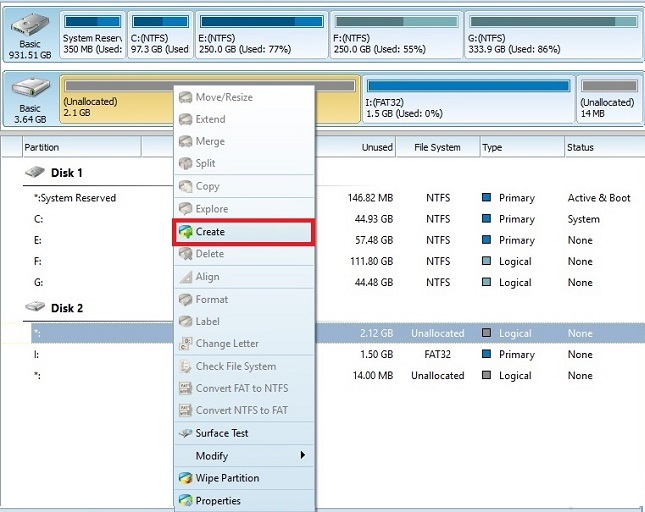 Choose Ext2 in File system option and click ok. Step 11: On the top left corner of Mini Tool Partition Wizard software you’ll find an Apply button. Select it. Step 12: A popup window will appear. Click on Yes option. Step 13: As soon as you click on it the partition process will start. Wait for the process to finish. Step 14: After successful completion of the process you’ll get a message on your window screen. Now copy all the data back into memory card and insert it in your phone. Then restart your phone and follow the steps 7 to 16 of method 1. That’s all. You have successfully increased your phones internal memory. You can check the same from settings->storage. This method can be performed without involving the Link2SD app. Step 1: Firstly make a partition of your SD card using Mini Tool Partition Wizard software (refer steps 1 to 14 of method 2). 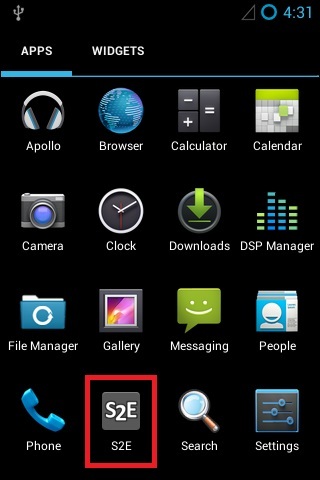 Step 2: Then download and install Terminal Emulator App in your phone from the link given above. Step 3: Launch the app. 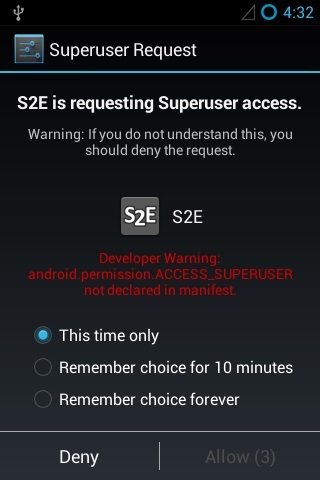 This will grant Superuser permissions. Step 6: As soon as you type this command & press enter, the app will ask you whether to continue with the process or not. So type y as the next command in the app. 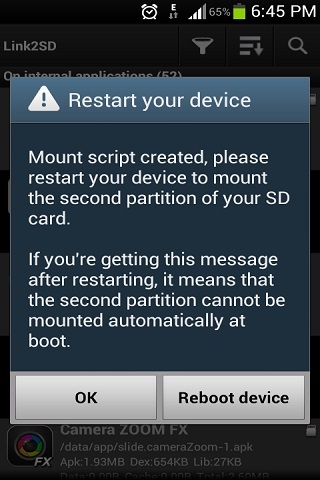 Step 7: Now the app asks to reboot your phone. Again type y as the next command to restart the phone. That’s it. You have successfully increased your phones internal memory. You may check the same from menu->settings->storage. Step 1: Enter these commands one after another and press enter. Step 3: The app will ask to reboot your phone. So press y as the next command and press enter. After rebooting the phone will revert back to the state it was before. Thus you can increase your device internal memory with Terminal Emulator app. Step 1: Download the INT2EXT4+ zip file on your computer in a specific folder. Remember not to extract it. Step 2: Power off your phone completely until it vibrates. You need to enter into CWM recovery mode. For doing so, you may use appropriate key combination. Step 5: The partitioning SD card process will begin. Wait for a few minutes to complete it. Step 6: After successful completion of the process, select ++++go back++++ then navigate to the mount and storage option and select it. On the next screen select the mount usb storage option. Step 7: Now connect your phone to PC and copy the downloaded INT2EXT4+ zip file as it is without extracting on your SD card. Step 8: Again go back and navigate to the mount and storage option and this time select the mount/system option. Step 9: Return back to the main menu and select the install zip from sdcard option. On the next screen select choose from sdcard. This will show all the contents present on your memory card. Just navigate to the INT2EXT4+ zip file and select it to start the installation process. That’s all the process completes here. 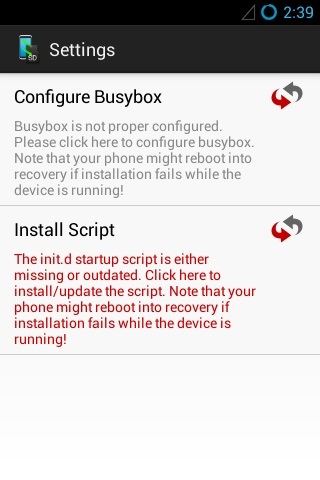 You need to now restart your phone by navigating to the reboot system now option located on the recovery mode itself. You can verify the increase in your phones internal memory from menu->settings->storage. Step 1: Download and install Mounts2SD app in your phone. 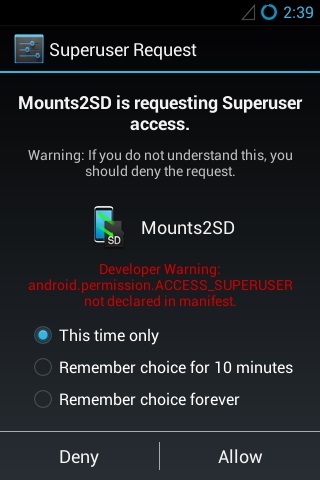 Step 2: Launch the app and grant Superuser permissions. 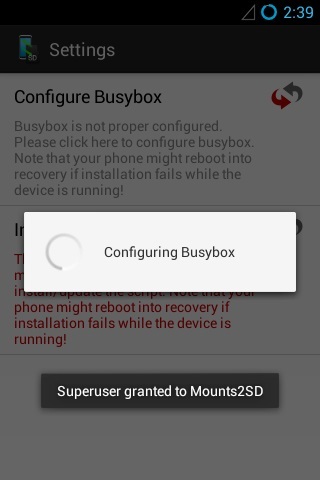 Step 3: As soon as you all the Superuser request the configuration message will popup. 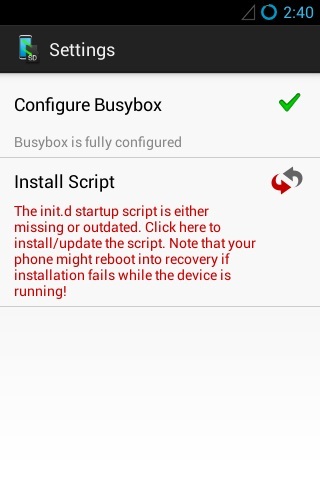 Step 4: Just click on the Configure Busybox. Step 5: Be patient until it completes. A green colored tick mark will confirm the completion. Step 6: Next click on the Install Script option. 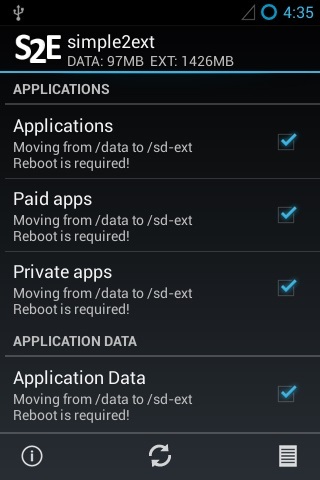 Step 8: Click on Configure and tick all these options: Applications, Data, Dalvik cache, Cache. Step 9: Scroll further down and tick the Disable Safe mode option. Step 10: Now exit the app and restart your phone. Voila! Your phones internal memory is increased. Note: If you see any kind of error or warning in you notifications due to this app, then don’t panic as it is caused by swap. Refer the screenshot. Just a boot can blow away the error. Step 1: Firstly download and install S2E app in your phone from the given link. Step 4: Now press the menu key and enter the settings option. Step 5: Next tick the first two options: Mount as ext4 & Set read buffer. Step 6: Restart your phone after performing everything as mentioned above. Step 8: Tick all those options. This will move all the apps and their data to external sdcard. Step 9: Make a final reboot to complete the process. Vohoo! You’ve successfully increased your phones internal memory. Just do not remove your external memory card as it may corrupt or damage the apps. After rebooting when I launch Link2sd, it again asks me to select ext2…. When it asks for ext2 just select it, do not cancel..
Thanksss……. I just continued method 4 at step 6 and it is working…. How can i extand internal memory? How do increase internal memory on Samsung galaxys5. Hi I followed the 1st procedure but my 8gb memory card’s space is show as 3.8 gb and all the files in it are missing. I did copy Link2SD app even that is missing did i do anything wrong ? please advice how to get the memory card’s space & files back. Using Mini Tool delete the partition and re-do the process.. 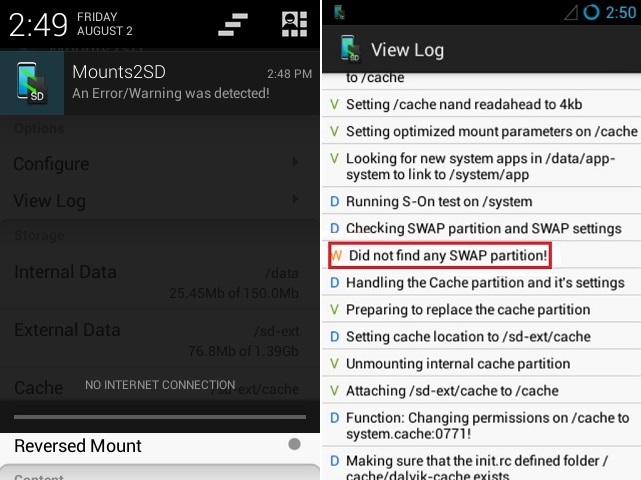 Which method is best and successful for Galaxy Y..
Is it important to select ext2 in method 1 in link2sd app beacuse I have selected FAT32(in step 8) in mini tool partition wizard… Can we select FAT32 instead of ext2..
i have just installed cynogenmod 11 ,but how to increase internal memory,and big games like candy crush, temple run can run on samsung galaxy fit? Use the above guide to increase internal memory..But due to hardware incompatibility of Galaxy Fit those games won’t work..
the data of sd card will be formated or not after comple the method 6? none method is working for my BQ S37 phone ,it’s intenal memory is only 130 mb,Android 4.4 and RAM 512 mb. 1. Download & install framaroot app on your phone..
2. 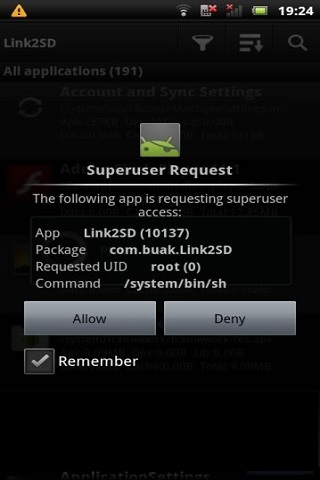 Launch it and select install supersu option..
simcard not detected….How to fix it it give me solution????? which method is best in terms of performance for galxy y gts5360?? 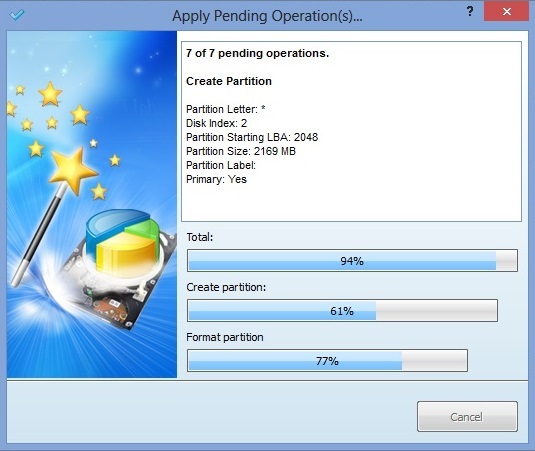 Mini tool partition wizard asks for wiping method and by default it was on fill sectors with zero and on applying everything its taking quite a long time. OMG! Method 2 saved my cheap Nobis nb09 tablet. Used a 16GB sd, 10GB for 2nd partition, rest for other partition. Google Apps keeps stopping and restarting, but doesnt seem to be a problem so far. Thanks, so happy I could kiss u!! I am using Samsung GTS-5360….I’ve already rooted my phone and its currently running on CyanogenMod 11 ( KitKat 4.4.4 ) … main problem is that when I try to increase my internal memory….it gets increased but Temporarily….after sometime the 2nd partition goes where…I don’t know and it creates a lot of disturbance…..plzzz tell me all the steps specifically in detail how to deal with this problem!!??!! 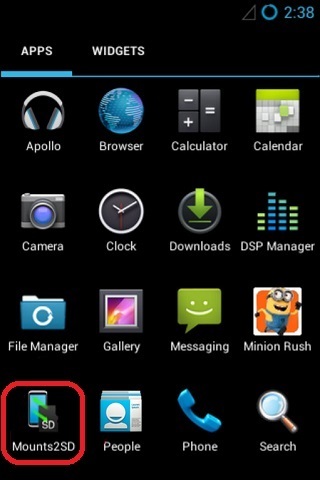 my mobile datawind pocket surfer 3g4 (sp7715) is’nt listed cwm list. so what can i do. please help me. i use method 6, i might say yes it increase my internal storage but whener i install app my phone keeps rebooting. It looks quite simple and method 1 revealed successsfull on my GT-S5830, with a 8Gb SD, 2 of which for extension. Thanks for the tuto so easy. However it appeared that some apps do not install on the SD partition despite the positive notification by Link2SD (this is the case for Google play services or Avast). Do you think all 6 methods would provide same limitation ? Hye,can I use that method 2 to increase my internal storage on galaxy Y GT S5360?? keeps getting this error “/data/sdext2 mount not found” on my BQ S37. What to do? 1.Install updated Link2SD from Playstore. 2.Launch it and open all applications. 3.Click on Link2SD from the list of apps. 4.Click on Actions and select convert to system app option. 6.Go to options and clean up dalvik cache. Hello admin nice tutorial. Will these methods work for lg f260s.. and 2ndly how to revert back to oringal state rest f the methods. Sir if i use method 3 all my data saved will be lost? Yes.Its better copy all data from SD card somewhere..
Abhijeet what is the best method for My Phone.. And what happened if its failed will my phone be destroyed? How to increase internal storage in My Phone Agua Rhio?